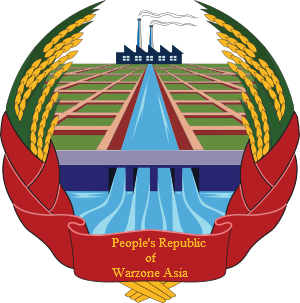 Welcome to the People's Republic of Warzone Asia, and congratulations on applying for citizenship. By filling out the following application you are furthering yourself and our native people's Warzone republic. All residents are encouraged to apply for full citizenship to receive enfranchisement and secure the ability to run for office in the future. Honorary Citizen: Intended for nations whose primary home is outside if the warzones. May vote in elections. May recieve representation to the PLA if a resident. May not run for political office. Please post your application in this thread. A politburo member will review your application and ask additional questions if necessary. Please check back regularly to ensure your form is being processed and answer any additional questions. If necessary, a scan may be run on your account against current members to guard against electoral fraud. This may take time, and so we ask your patience and cooperation on this matter. Apologies for the delay. Your request has been approved. Congratulations, Aditya, your application has been accepted. You are now a full citizen of the People's Republic of Warzone Asia, with all the rights and duties that confers. Your citizenship status in this region also makes you eligible to participate in the United Warzone Republic of which our region is a member. The UWR is somewhat akin to the EU for warzones, and there is a great deal of interchange between the two legislatures. If you are planning to run for government office I highly suggest creating an account there also. Do you intend to run for political office? : Yes, specifically the Foreign Affairs Office if available. Have you ever engaged in the process of raiding? : I've only taken part in Defense Operations personally. Do you hold citizenship outside of WZAI? : Yes, The People's Republic of Lazarus. Do you consider yourself a native of any regions outside WZAI? : I consider myself a native of the PRL, but I intend to make this my new home and to do my part in helping it stay stable. Have you ever been ejected or banned from a native controlled region for any reason? : No.